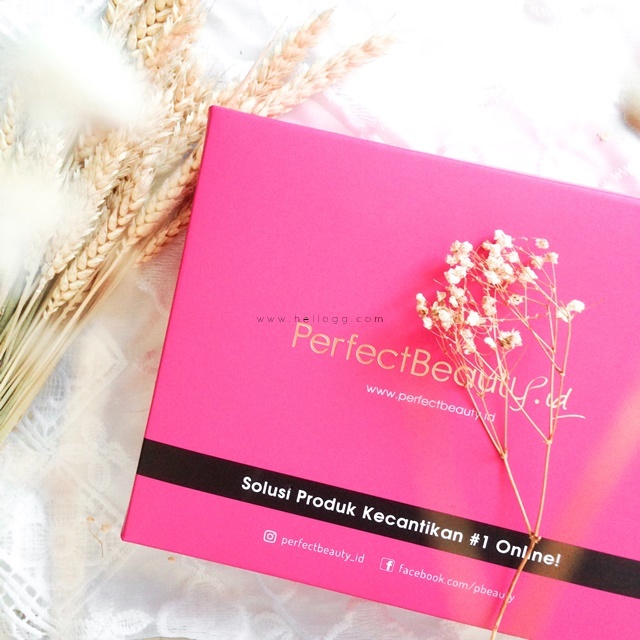 GG Impression: Perfect Beauty's Beauty Box (Sponsored) - Hello GG! Today I am gonna show you what I got from Surabaya Beauty Blogger's 6th Soiree! A full set beauty treat from Perfect Beauty. 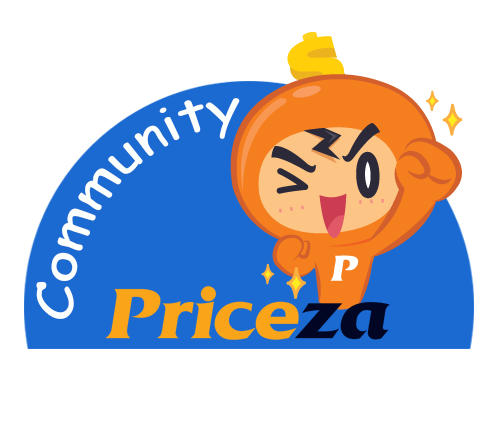 If you don't really familiar with Perfect Beauty, it's an e-commerce which bring you a lot of beauty stuff to fulfill your needs. From local to high-end brand. From dozen skincare to bunch of makeups. With originality granted and affordable price of course. So here's is the pink box I got. First I got these two L'action masks. I thought it was a sheet mask. But it end up a creamy mask. It makes me remembered about thick oil, a frozen one. I got two variants. Lychee and Polar Mint. The mask with antioxidant rice oil is a mattifying combination of white lily bud extract to soothe and protect your skin, bamboo and lychee extracts for remineralization. This combination of active ingredients offers your skin a perfect complexion. Rich in essential fatty acids, cotton oil is perfect for the morning after a long night of partying. This mask is complemented with lichen from Iceland, which hydrates and protects your skin, and leaves it feeling velvety smooth. Skin type : Suitable for all skin types, even the most sensitive skin. The texture itself is really creamy, I usually spread it with finger. You can leave it for 12 minutes then rinse it with lukewarm water. The result? It makes my skin super smooth, but the Polar Mint one is not really my favorite. It stings my skin because the mint effect. Then I got these Beauvrys Gold Facial Mask and Beauvrys Black shampoo. 1. A luxurious facial mask that is formulated with a unique blend of mineral Gold fermentation to help treat skin. 2. Moisturized skin and helps skin to look younger. Reduces fine lines, wrinkles, tightens and helps inhibit premature aging. 3. Restores vitality and freshness to the area around the eyes. Help the blood circulation and remove dead skin cells. 4. Maintain the balance of skin color and texture, making skin smooth, soft and bright. You need to leave it for 20 minutes then peel upward. Honestly, I am not really a fan of peeling mask since my skin will got irritated in second after peel it from my face. And this mask is really sticky, need an extra effort to spread. LOL. Again, not really fan of peel mask. I am not really trying the black shampoo since my hair is dyed. But I am sure it will end up like an instant hair coloring which help you to darken your hair easily. Caribbean Breeze is not sold by the large mass discount stores, large discount drug stores, or supermarket chains, so they can provide high-quality products with attractive packaging at competitive prices with superior service. Enriched with vitamins, natural botanical extracts, Green Tea and Pomegranate, this exclusive blend will moisturize your skin while protecting it from the sun’s harmful rays. My baby. My favorite one. Not to mention because of high SPF, this suncream end up very sticky and very white! But, it’s water resistance! And sure it protects me perfectly. I was going to an island last month. When peple leave their skin red like boiling crab, I walk from the sea like queen! LOL. Helps prevent, soothe and heal dry, chapped, chafed and sunburned lips. Regular use of sunscreens may help reduce the chance of skin damage, some types of skin cancers and other harmful effects caused by the sun. I love my lips, and lips also need protection as well from the sun, even during the cold days. It glides on sooooo smooth, and it smells like melons. Beside, it keeps my lips hydrated. Super looove! And what’s good about ths brand are they have Recyclable Packaging and does not test on animals! Hair restructuring treatment enriched with Ceramide A2. I heard that this mask is very popular and often used in beauty longue/ saloon. After I tried it, I know that those rumors are true! My hair become so soft and easily to arranged! The last one is a self manufactured false lashes by Perfect Beauty! They claim that this flalse lashes is made in the same factory with M.A.C’s false lashes! So they have same quality but in very very very cheaper price. And the quality? I loveeeeeeeeee it so much! So smooth, and so light! The plus thing is the band is clear and easy to apply. Not a fan of false lashes, but I love this one! So that's all my first impression from Perfect Beauty's Beauty Box! Thank you, Surabaya Beauty Blogger and Perfect Beauty for the generous goodies!